These are valentine bottle aprons made for grand kids. I don't remember where the first apron came from. 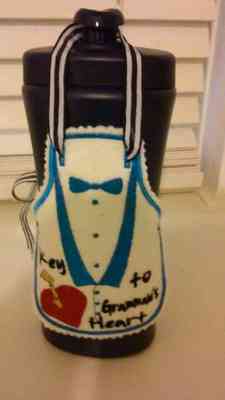 The last two aprons are from emb lib. I used different designs that I had. Put the aprons on lotion bottles. Didn't know what else to use for kids. Thanks for sharing your project. I wondered what those aprons would look like. They are fabulous. 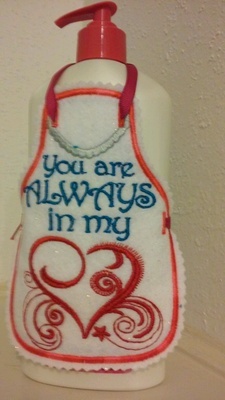 Very cute; Thank you for sharing your pretty apron. Thanks for all your comments. The original use are for wine bottles. Just change designs. 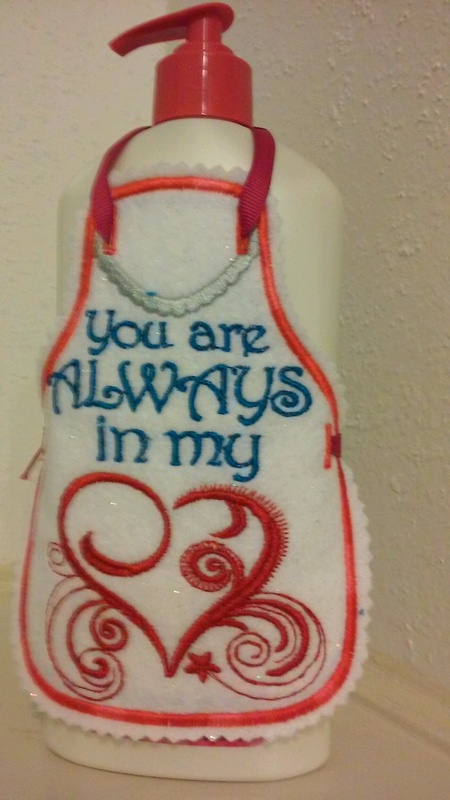 What a great idea---I NEVER thought of putting aprons on lotion bottles!!!!!!!!!!!!!!! I bet you could put them on soft soap, MAYBE???? So cute. God bless you. Perfect for Valentine's Day! 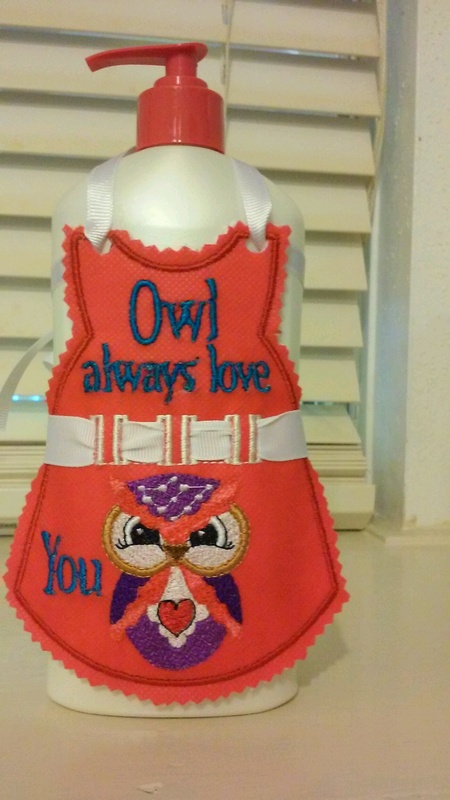 These little bottle aprons are really cute. Very cute! I love Carolyn's idea to use these on a soda bottle too for kids. A great collection for the grand kids, well done . Sandra. What a great way to dress up a gift. That little extra touch is what make it special. Well done and so useful. They turned out so cute. They are fun gifts.